When a truly spectacular home like this comes your way, it's decision time. 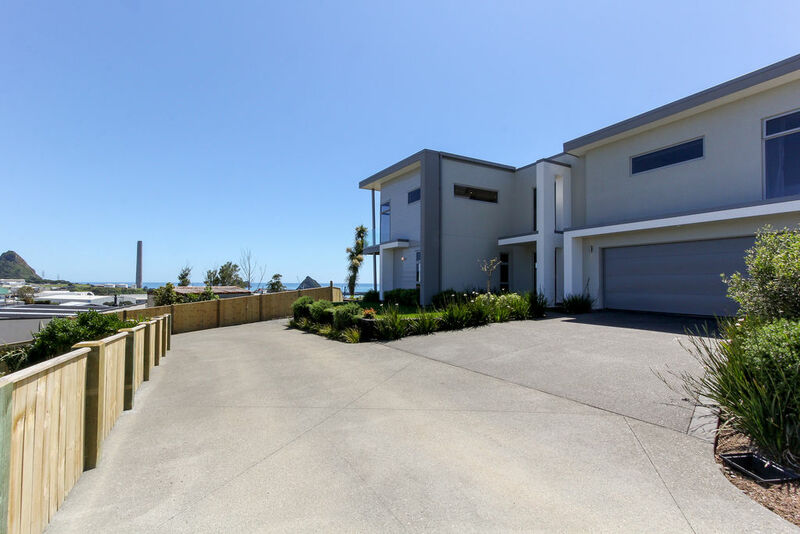 Beyond compare is the only way to describe this majestic home that sits proudly on the highest point of Mission Street in Moturoa and provides breathtaking views of Mount Taranaki, Ngamotu Beach, Paritutu, plus panoramic views of the harbour. 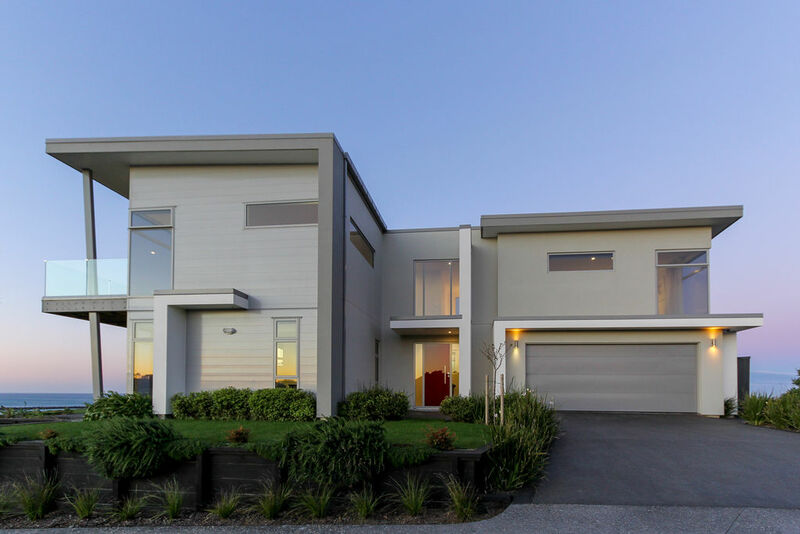 Built in 2015 and with a floor area of 245m² (more or less) this home offers the ultimate in luxury living with open plan kitchen and dining, four double bedrooms, master with en suite and walk in robe, family bathroom, plus a guest powder room. Downstairs one of the bedrooms has a kitchenette, therefore it could be utilised either as additional living or for overnight guests to enjoy catering for themselves. The chefs dream kitchen features a cleverly designed living splash back so that none of the view is compromised by wall space! Storage is taken care of with a butlers pantry complete with temperature controlled wine fridge. 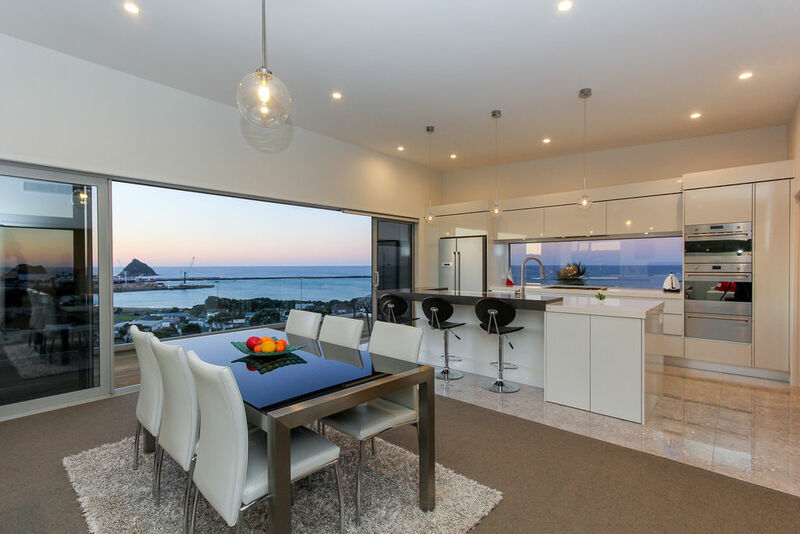 Upstairs the open plan living opens out onto a spacious north facing deck, crafted from sustainably milled Garapa timber from South America, and from this vantage point you will be able to enjoy the most magnificent views of the ocean and watch all the action at the port. Decorated in neutral tones throughout the attention to detail in this home is both luxurious and timeless and is the perfect entertainer! Comfort is guaranteed with underfloor heating in the kitchen, en suite and family bathroom. Other practicalities include two heat pumps, gas infinity water heating, double glazing and a security alarm system. A cavity for a lift was included at the time of the original build to future proof if needed. There is ample storage throughout the home along with internal access double garaging and a laundry that can be closed off. Set on a freehold title the section is 713m² and is easy care leaving your weekends free to relax and enjoy the views! 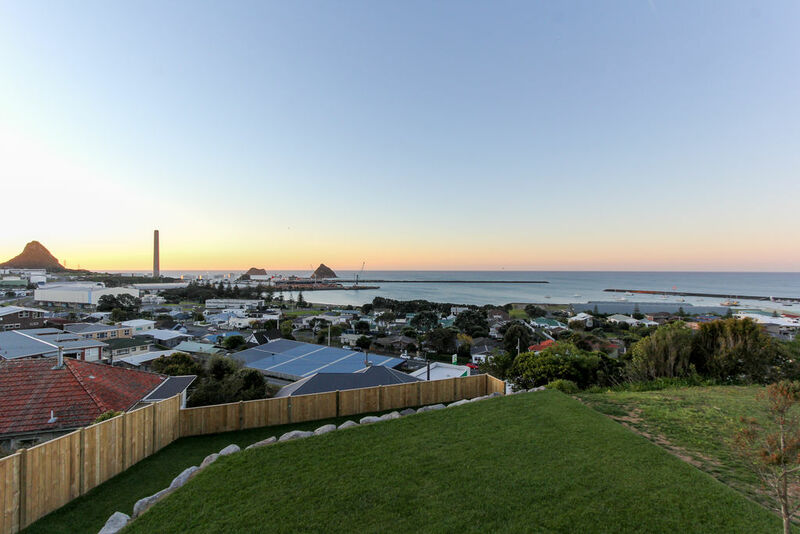 It is located within close proximity to the Moturoa and Blagdon shopping centres, schools, the coastal walkway, Ngamotu Beach and the restaurants and cafes on Oceanview Parade. Seldom do you have a chance to secure a grandstand position like this. Contact Jane or Carey today on 0800 619 6000 for your private viewing.